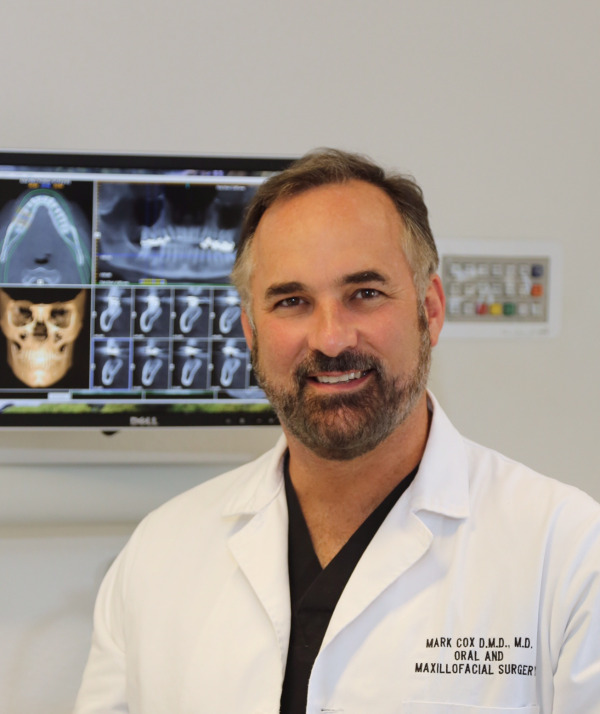 Dr. Mark Cox is a board certified Oral and Maxillofacial surgeon. He has practiced Oral and Maxillofacial Surgery and Dental Implant Surgery in Redding since 1993. He was born and raised in northern California and desired to return to northern California to serve this area. Dr. Cox is a graduate of the University of Alabama School of Dentistry and Medicine where he earned both his dental and medical degrees. He completed his residency in Oral and Maxillofacial Surgery at Louisiana State University in New Orleans. Dr. Cox received extensive training in facial reconstruction, orthognathic surgery, facial trauma, anesthesia techniques, dental alveolar surgery, bone grafting, and the surgical placement of dental implants. Dr. Cox is a native of Northern California and mostly enjoys spending time with his family; however his hobbies include fly fishing, boating, and riding his motorcycle. His professional interests include implant reconstructing and bone grafting, the removal of wisdom teeth, and orthognathic surgery.